When men in the Maori Focus Unit make a decision to carve and understand whakairo, they start on the same path of discovery that he has taken, he says. 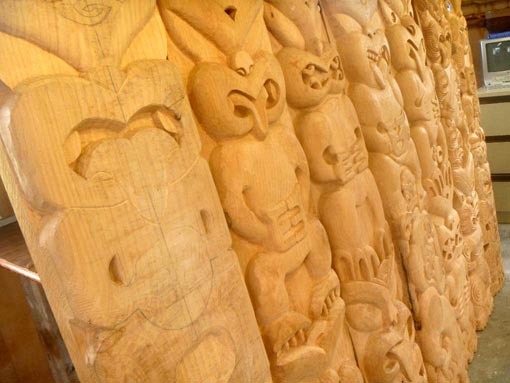 When Kereopa began his own research into whakairo and worked alongside other carvers on various projects, it gave him a deeper understanding of the tikanga he’d always known about. It also gave him a greater sense of respect for what he was learning, and for himself and others. As a youngster, Kereopa had a passion for drawing and form. Much of his early carving was done with just one chisel. But the whakairo in the whare tipuna meeting houses that he looked at as a child puzzled him. He wasn’t sure what he was looking at. Years later after he’d left his family home, his marae and community, he noticed an increasing gap within himself that wasn’t being met through his new friends and new environments. 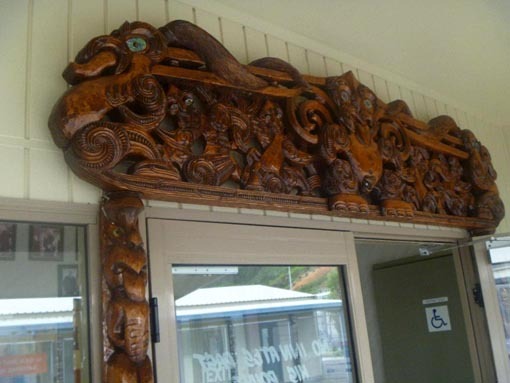 Kereopa returned to te reo and tikanga Maori as an adult. At that point, he says, the gap inside him “began to close”. “I met people who were strengthening their foundations of te ao Māori, and it was quite surprising to me that we all wanted this information,” he recalls. Te reo also brought new understanding of his East Coast whakapapa (genealogies), which inspired a deeper interest in whakairo. He researched pathways of whakairo that spanned 500 years and included the Uawa traditions in what is now known as Tolaga Bay. “But whakairo is not available to everyone,” he says. “It’s for the men who’ve been compliant: it’s a lift up. We interview them and see if they’re willing to work within the tikanga that’s required there. We take six carvers into the workshop because of its size. 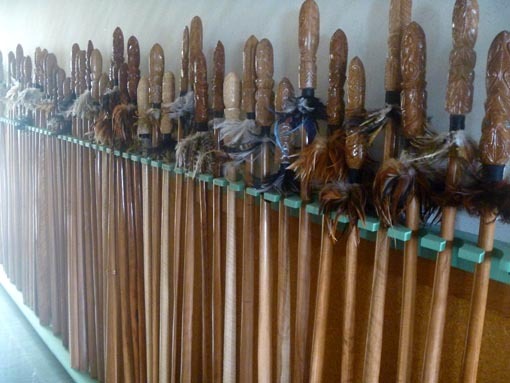 Some are strong carvers who already have a history of whakairo but many others are first-time hands on carvers. “When we put men on to carving projects, they are immersed in the thinking of the environment; in the requirements of the work in front of them; and in the team they’re part of. “You are able to see the man and how he operates. If we have six men in the carving workshop, then we’re looking at six different styles of thought approaching the same task or problem. “We become a small community, discussing and concentrating on what we can do to create solutions by working and thinking together. Original generation time 1.3447 seconds. Cache Loaded in: 0.0005 seconds.